Are you environmentally conscious and want to cut back on your water usage to help the planet? Or are you always looking for ways to cut back costs at home, and want to shrink your water bill as a result? You’re probably interested in both of these elements, and perhaps in teaching your children how to be more economical with things, too. While we often think of water as a plentiful resource and don’t even notice how much of it we use in a day, when you look at other countries where fresh, clean water is hard to come by, it’s easy to work out that we waste quite a lot of it in the Western world. To help you combat this, read on for some top tips for saving water at home over the coming weeks and months. First up, one of the simplest yet most effective things you can do to save water is to not let it run heedlessly in your home. For example, don’t leave the tap running when you’re cleaning your teeth, washing your hands or face, shaving, or washing or rinsing dishes. 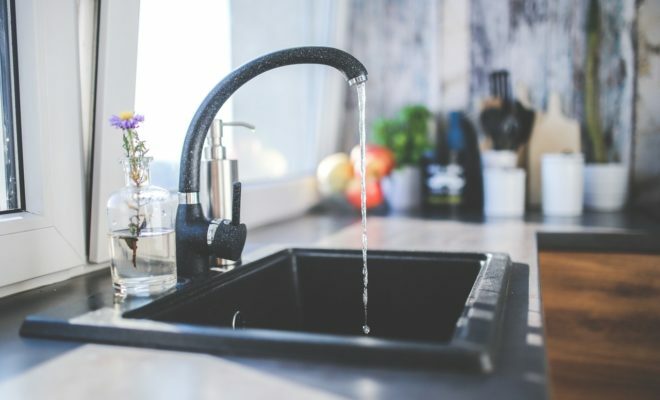 It might not seem like it will make that much of a difference, but since bathroom and kitchen taps tend to pour out water at a significant rate, by not letting them run you can actually save thousands of gallons per year. When it comes to saving water, this can also be done by actually repurposing it. For example, use every drop by capturing under your colander the water used to rinse fruits and veggies and other food items, as well as the water that comes out while you’re waiting for the temperature to heat up to wash dishes. Alternatively, if you have a double sink, you can also use the cold water that comes out while things are heating up on one side of the sink, to rinse your dishes after you’ve washed them, and then move your tap to the other side once the water is hot for the washing component of the job. Another option is to capture excess water, such as that at the bottom of your shower, and deposit this this into the garden. This will reduce the amount you’ll need to use to water your lawn and plants throughout the year. When you next buy water-using appliances for your home, such as a dishwasher or washing machine, buy the most efficient options you can afford. These days there are economical products on the market which can help you to save a lot of water annually. Be on the lookout for Energy Star-certified machines. The more stars they have the more efficient they are. Also, buy the smallest-sized appliances you can for your needs, as this will use less water, too. Plus, when you go to use your washing machine and dishwasher, fill them to capacity each time, rather than running them when they’re only partly full. Of course, something you would have heard plenty of times over the years is that it’s important to limit shower time. The longer the shower you have, the more water used. Make some smart choices, though, and you’ll soon cut back usage. Aim for showers which are five minutes or less. Consider putting a kitchen timer in your bathroom to help you stay on track. Also, swap out your current older showerhead, if required, for a newer Water Sense-certified showerhead, or another product that’s similarly lower-flow. When you’re looking for good ways to conserve water at home, keep in mind that your pool needs to be considered, too. That is, it’s wise to use a pool cover so that the water in the swimming space doesn’t continually evaporate and need to be topped up with a hose. There are a variety of covers available at different price points, so you should find something to suit your needs. Do maintain pipes around your property and fix leaks as they come up, too. Whether you are equipped to do it yourself or need to hire a plumber or other contractor to do the work, it’s important to be sure pipes are kept in good condition so they don’t end up leaking or bursting. Leaks, even very slow dripping ones, can waste many gallons of water per day without you realizing it, so the more maintenance and upkeep you can do, the better. Follow the above tips and you will soon be saving a significant amount of water each year, and cutting back your related expenses in turn. This will also help the environment and give you a feeling of satisfaction that’s sure to be worth any sacrifices you make throughout the year.